You will always receive a warm welcome at The Fitness Bank. We want you to get the most out of your time in the studio and so we offer a full range of classes at times convenient to you. We offer a number of classes to suit any age or ability. 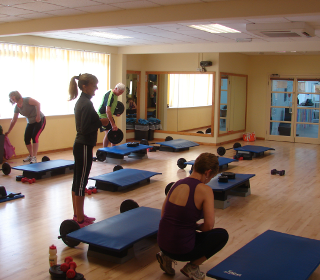 See what classes are running on our Studio Timetable. You don't have to be a member to come to our studio classes, however, if you do decide to join, you'll find that membership has many benefits! You'll receive preferential class booking, and by signing up to our Class Only package regular studio attendees can save money, as it can cost as little as £23 per month depending on your chosen payment option. Plus you get access to our online class booking system for your convenience.